These are the wicked souls that participated in one way or another in the killing of the four Uniport students in Aluu community. 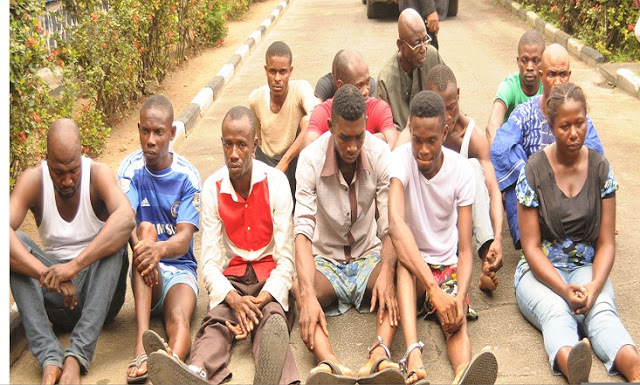 These 13 suspects were paraded today at the police headquarters in Port Harcourt, River State. 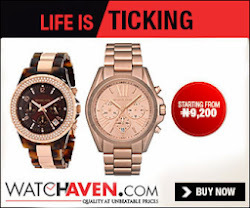 The names of the suspects are Ozioma Abajuo 23 years, Chigozie Evans Samuel 22 years, Endurance Edet, 27 years, Uwem Sampson Akpabio 30 years, David Chinasa Ugbaje 30 years, Cynthia Chinwo 24-year-old female, Lawal Segun 28years, Lucky Orji 43 years, Ekpe Daniel 30 years, George Nwadei 30 years, Gabriel Oche 33 years and the Aluu Community Chief, Alhaji Hassan Welewa. The Nigerian police force caught up with Ikechukwu Louis Amadi aka Kapoon who is one of the most wanted person on their list because he led the killing of those boys and of course, the prime suspect, Cozson Lelibori Lucky, aka Bright has also been caught and now in police custody. Can you imagine that a woman was involved! A woman is probably a mother too. I wonder what she has to say for herself. NBC banns Tonto Dikeh's song?